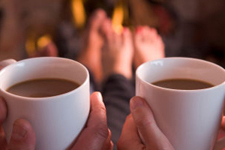 Whether you have a furnace or a heat pump, Millie’s Heating & Air Conditioning has the products and services you are looking for to keep your home warm and comfortable all winter long. We feature Amana and Carrier furnaces and heat pumps, but we can work on all other types as well. So whether you need heating installation, repair or maintenance services in Great Falls, do not hesitate to give us a call today. Before you can have a new heating system installed, you need to know what kind to get. Our experts will walk you through the furnace or heat pump selection process to make sure that the system you get is the right match for your home. We will also professionally size your new heating system for you, so you can be sure the system we install for you will keep you warm without generating a huge energy bill for you. Once we know what system we are putting in, we will schedule the work to suit your schedule as much as possible, and we will make sure you know exactly what we will be doing and when. That way you know what to expect, and your new heating system can be installed with as little disruption to your daily routine as possible. It can be hard to know if your heating system just needs repairs or if it really is time to replace it without professional help. You should always call to have someone come look at your heating system if you notice that your house is not getting as warm as it used to or if the heat is not evenly distributed throughout your home. Another thing to watch for that could indicate your heating system needs to be replaced is an increase in your energy bill without a corresponding increase in your heating usage. This means that your heating system is using more energy than before to do the same amount of work and is definitely something you want addressed right away. None of these things necessarily means that you need to replace your heating system, but only a professional can tell you what the best course of action is. Ideally, you would like your heating system to last as long as possible, run efficiently and require few repairs. Unfortunately there is no way to guarantee that, but the best way to keep your home heating system running smoothly over the long term is with regular professional maintenance from Millie’s expert technicians. We can work on any type of heating system, so whether we installed yours or not, we would be happy to take over its routine care. This type of service allows our technicians to inspect all areas of your heating system to replace worn out parts, sure up connections and clean out any sediment that has accumulated since the last service. And all of that will help to keep your heating system in good shape going forward. When something does go wrong, Millie’s technicians can help as well. We will have someone out quickly when we receive your call for service, and we have the knowledge, skills and tools to get things back on line fast. 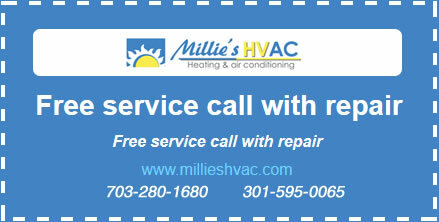 So no matter what type of heating system service you need, be sure to give Millie’s a call today.